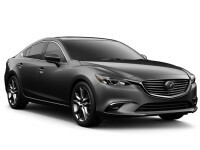 The best selection and the lowest prices on Mazda leasing are to be found at Auto Leasing NJ! 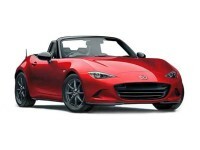 We’ve totally transformed the auto leasing paradigm to bring you amazingly low monthly rates on Mazda car leasing for every current model, like the Mazda2 Hatchback, the CX-5 SUV and the MX-5 Miata Convertible! And with Auto Leasing NJ you’ll never have to go far out of your way to visit a car lot, never have to deal with pushy, greedy salespeople, and never have to interrupt your busy schedule to work out the details of your Mazda lease! Auto Leasing NJ has moved the entire leasing process online, so that our overhead costs are cut right to the bone, which means that you pay much less than you would with any traditional Mazda auto leasing agency! Furthermore, beyond just price, we offer a huge selection of Mazda vehicles, with any combination of factory options you might need! Our affiliated Mazda dealers can provide you with whatever Mazda automobile you need or desire, at jaw-droppingly low rates! 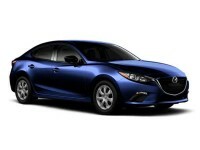 Come view our Mazda inventory page, or call 609-830-0066 to inquire about a specific vehicle! When we say “we’ve cut overhead down to the bone,” what do we mean, and how have we done it? Well, it all has to do with our revolutionary all-online leasing system. If you consider how a traditional auto leasing agency works, a few obvious costs come to mind. First is the car lot and/or showroom. These have to be located on fairly large plots of land in order to house a decent selection of automobiles. This creates overhead costs in the form of grounds maintenance, security (after all, nothing is more attractive to a car thief than hundreds of cars) and rent. Next is the leasing fleet itself. A traditional lessor will have to first purchase a large number of vehicles in order to have an acceptable selection of cars with which to attract customers. This is naturally a huge initial cost, and it keeps costing money with the necessary upgrades at each new model year, and the necessity of selling off older cars, often at a loss. Auto Leasing NJ has done away with all of this. Rather than having a physical car lot, our website functions as our showroom! 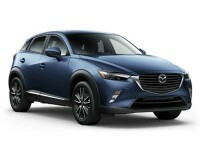 And rather than having a fleet of cars that we own, we leverage our close relationships with Mazda dealers to offer a huge selection of vehicles, including the CX-3 and CX-9 SUVs, the Mazda3 Hatchback, Mazda3 and Mazda6 Hatchback and the Mazda5 Minivan. 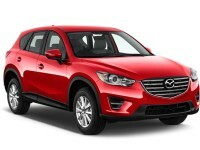 No other leasing agent in New Jersey can offer such phenomenal Mazda deals with such a wide selection. 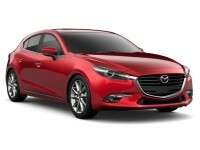 Call 609-830-0066 today to find out about the Mazda auto lease you want! 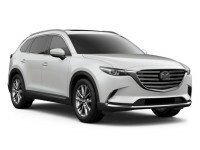 Auto Lease NJ knows full well that if we don’t make it easy for customers to lease a vehicle, we may lose prospective lessees to more traditional Mazda leasing companies. This is why we’ve streamlined the process and made it a totally online prospect: from car selection to application to financing to term acceptance to delivery address specification! The only thing that’s “offline” is the signing of the final papers, which you do when the vehicle is delivered to your home (free of charge, of course). Then your Mazda car lease begins and you’ve got the auto you wanted for the term of the lease! Find out how simple Mazda leasing can be — contact Auto Leasing NJ today at 609-830-0066!